We now move onto the final day with 1498 taking the morning traffic. 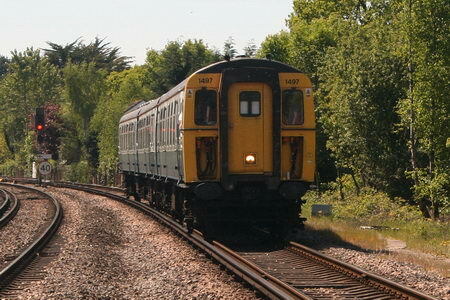 Robert Armstrong captures 1498 on the 08.14 service approaching Brockenhurst. 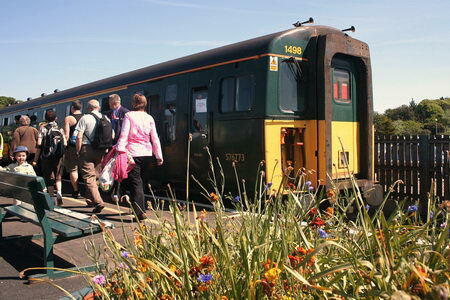 Colin Duff get a nice shot of 1498 crossing Lymington Harbour with the 10.14 service. 1498 waiting at Lymington Pier ready for the 10.44 serivce. 1498 approaching Lymington Town with the 10.44 serivce from Lymington Pier. 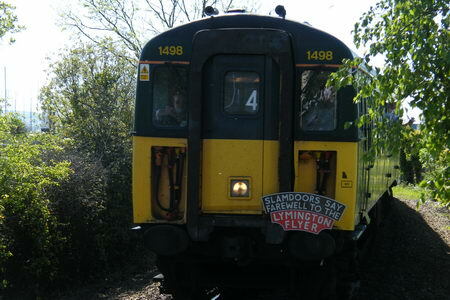 At 20 past 12, 1497 emerged from the up siding in preperation to take over duties from 1498. Due to the unit not being able to directly cross over from the up siding to platform 4, 1497 went into platform 1, which normally only happens with the first working of the day.